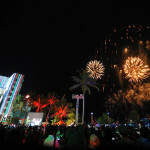 The government held a firework display in Malé tonight after declaring the opposition’s mass antigovernment protest a failure. Tens of thousands of people took to the streets yesterday over the jailing of ex-president Mohamed Nasheed, but police cracked down on protesters when they attempted to enter the city’s main square and dispersed the protest. 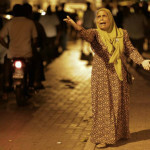 Hundreds including opposition leaders were arrested and injured in the crackdown, and two police officers suffered serious injuries in the clashes. Announcing the fireworks event at a press conference this afternoon, MPs of the ruling Progressive Party of the Maldives (PPM) labeled the protest a coup attempt. “A president is elected for five years. It’s very clear how [the state] must act towards those who come out to oust the government before that. Those people are attempting a coup. 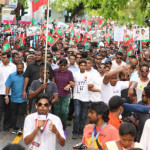 That is an unlawful protest,” MP Riyaz Rasheed said. “You cannot change a government without us. I’m saying very clearly that cannot be done. The people with those capabilities are with the PPM,” he added. The PPM in alliance with the Adhaalath Party and the Jumhooree Party (JP) had led a campaign in 2012 to oust former president Nasheed. He resigned on February 7, 2012, after a police and military mutiny. Accusing President Abdulla Yameen of authoritarianism, the Adhaalath Party and the JP split from the ruling coalition in March and February, respectively, and allied with Nasheed’s Maldivian Democratic Party (MDP). “The protest failed, Imran went to jail and President Yameen will go forward with the nation,” MP Abdul Raheem Abdulla said. Adhaalath president Sheikh Imran Abdulla, MDP chairperson Ali Waheed and JP deputy leader Ameen Ibrahim were arrested in a late night crackdown last night. PPM parliamentary group leader Ahmed Nihan dismissed the opposition’s claims that 35,000 people had taken to the streets. He said only 13,000 had come out, but only to celebrate labor day and take selfies. He described the protesters as unemployed young people who continue to depend on their parents for money to buy a cup of coffee. “The 60 percent of people there do not support any political ideology, but since its May Day, labor day, they powdered their faces and came out to take photos for social media,” he said. Many families are calling ruling party MPs requesting the release of family members who were arrested at protests, but “there is nothing we can do,” Nihan said. Nihan says the government must dismiss civil servants and employees of state owned companies who were encouraging violence against police on social media. “The parliamentary group requests the government to identify these people and give them notice as soon as possible and dismiss them. Open up opportunities for the young people who do not participate in such acts,” he said. Praising the police for breaking up the protest, Nihan said the PPM parliamentary group will consider increasing financial and human resources for the police force. MP Riyaz meanwhile warned the opposition the government stands ready to confront protesters: “we will not hide when they come out to beat us. We will hit back if we are beaten. We will not step back. “This parliamentary group will do everything necessary to defend the government. We have a majority in all committees. We are telling the security forces and the independent commissions, you must carry out your responsibilities. 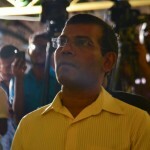 Otherwise, the Majlis will take the required action,” he said. Opposition should focus on diplomatic efforts. Internally they could try and educate the public. MP Nihan epitomises the Maldivian electorate - too dumb and arrogant to help themselves. The Waheed govt. paying Grant & Thronton to cease investigations into the $800million alleged scam, all but proves President Yameens culpability - yet he won. A person with a modicum of self respect and dignity wouldn't have voted for him after the supreme court fiasco - yet his votes increased. In what country would perpetrators of a coup, the instigators of hate, the openly corrupt, with a "manifesto" full of comical slogans such as " a doctor for every family", actually win an election? One way of showing their cowardly and childish identity! This government seems to have died many times; And it seems they will die many more times before they end themselves perhaps like the fireworks they ignite! You must be the only smart person in Maldives. Yes I did, and with good reason. But if that's what you infer from my comment, I'd say, compared to you, I'm an intellectual giant. 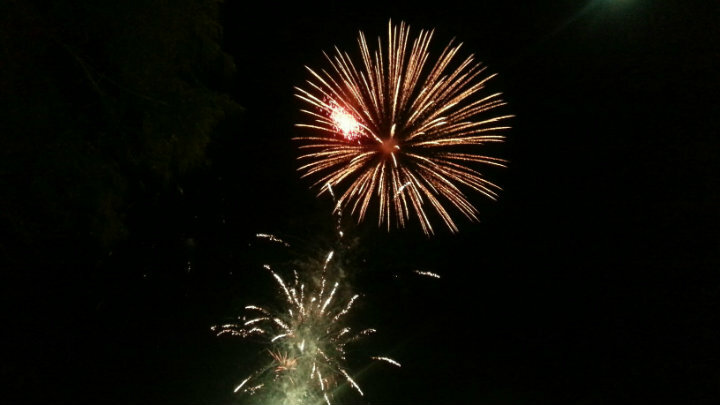 Somehow I thought Fireworks had been banned in Maldives - WTF is this government playing at get a grid and look after your citizen instead of your pockets... If travel bans go in place then you will stop the arm that feeds you!! !